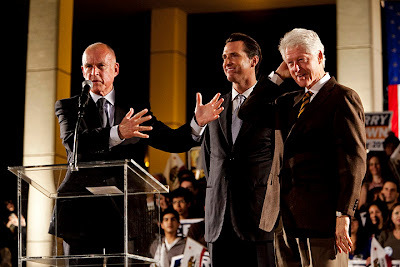 LA Photo: Brown, Newsom, and Clinton Rally At U.C.L.A. 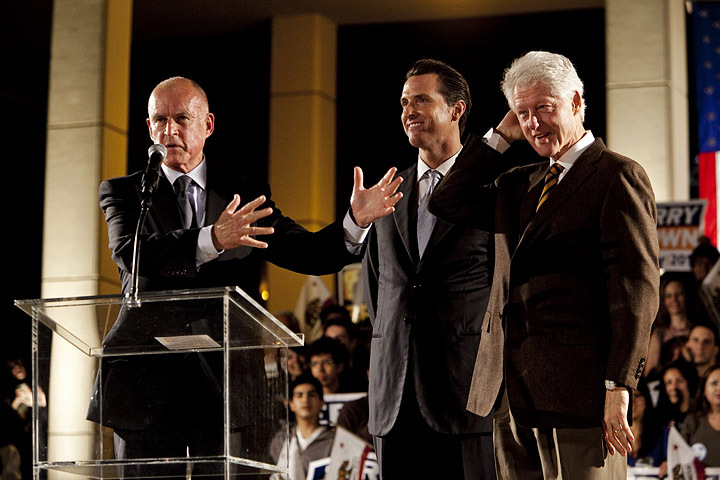 Once bitter rivals, democratic gubernatorial candidate Jerry Brown and former president Bill Clinton play nice at a rally held at U.C.L.A. 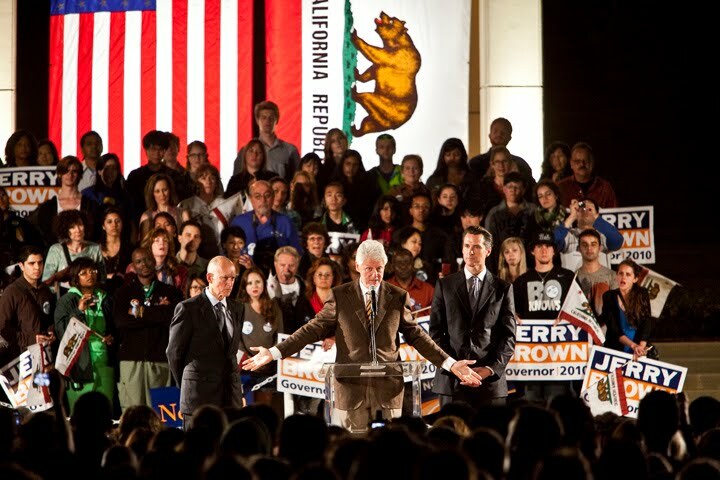 Democratic candidate for Lt. governor Gavin Newsom was also on stage completing the political superstar trio. Several thousand people, mostly students heard the two candidates speak on their campaign issues. 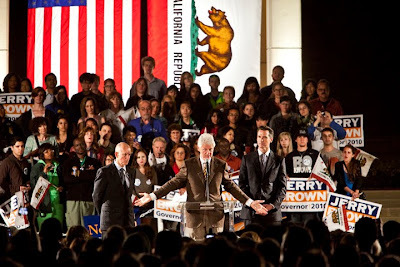 Clinton spoke mostly about his green initiatives, also thanking L.A. Mayor Antonio Villaraigosa for adding the LED lighting to street standards across the city.